Actively engaged in the international design community as a curator, creative director, strategic designer, teacher and critical thinker, she integrates several high-profile committees and jury panels. Her articles and essays on design, culture and communication have been published in Portugal and abroad. Guta Moura Guedes is co-founder of “Experimenta”, a non-profit association created in Lisbon in 1998, where she has held the position of Chair since 2000. She has been dedicated to the directing and programming of the EXD Biennale, of which she has been Director and Co-Author, since 1999. 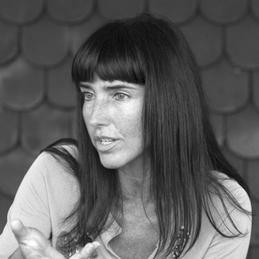 She is the Commissioner of the Portuguese Design year 2014/2015, nominated by the Portuguese Government. She was a communication consultant for the Music Department of the Gulbenkian Foundation, Coordinator of Allgarve Contemporary Art programme, Strategic Designer and Communication advisor to Fundação Casa da Música and was nominated Administrator of Fundação Centro Cultural de Belém by the Portuguese Government. She was distinguished with the Ordre de Chevalier des Arts et des Lettres in 2005.